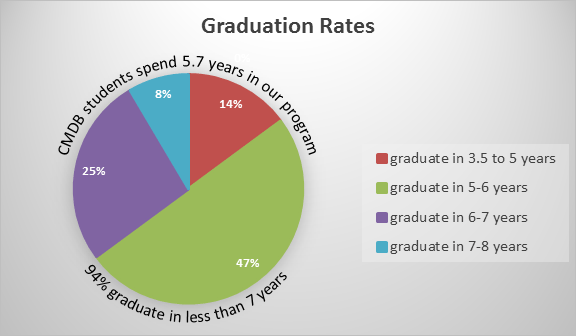 During the past year, an independent survey was conducted by Carson Research Company of our program and graduates for the past 15 years. The findings reflect the training and preparedness that our program provides for our students and for their future career paths. Our student publication record is outstanding. 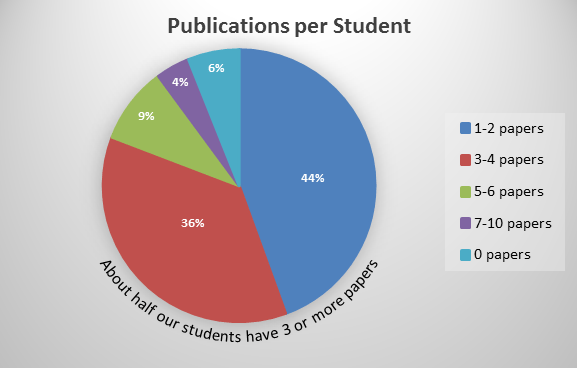 93% of students have 1 or more publications and 49% have 3 or more papers. 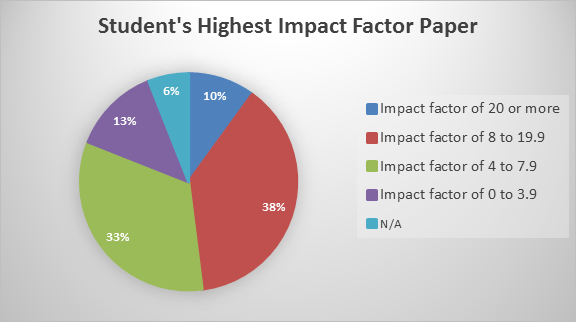 Furthermore, the importance of each student publication is evidenced in the impact factor of the research. 48% of our student publications are cited and rated highly with regard to the impact factor of their findings. 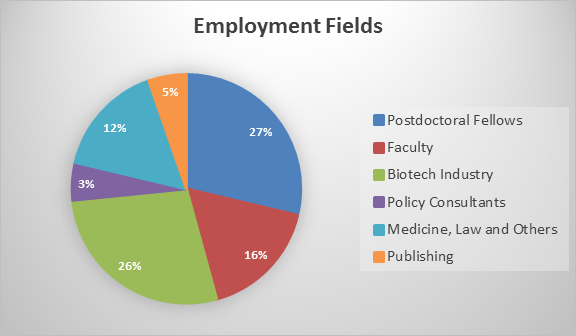 One third of our graduates have leveraged their PhDs to pursue a variety of career paths that go beyond the traditional bench science careers (e.g. postdoc, biotech, faculty).